Viper Elite shirt / jacket in VCam . Camouflage combat jacket. 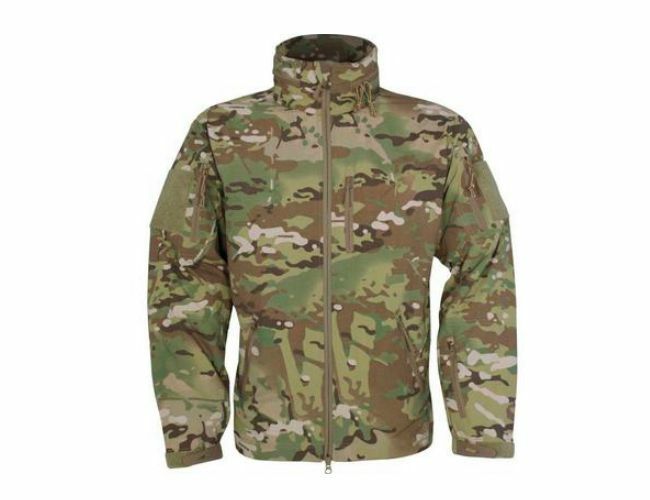 Lightweight jacket /shirt with 3 pockets in arms,5 inside pockets,adjustable waist and comes with fold away hood. Cuffs and hood can be adjusted to size.Water-resistant shell.